This review is about item#11077333. The desk was clean. However, my desk was a little small so I would like to buy a larger size this time. Previously, I bought the tray color black, but this time it was gray. Because the drawer's depth was 34 mm, it was just lucky to fit. Because the thing that originally attached to the drawer drawer of the old learning desk was broken, I was just looking for it. I am not satisfied with Cinderella Fit, but I am very satisfied. I will use it to organize drawers. I used it to organize the drawers. Until now, stick glue in the drawer and the pen were rolling every time the pen was opened but this tray stopped securely. I think that it is good because there is a special rolling prevention mountain such as glue. Used as a tray for on-site magic. I want a version of pen only part. 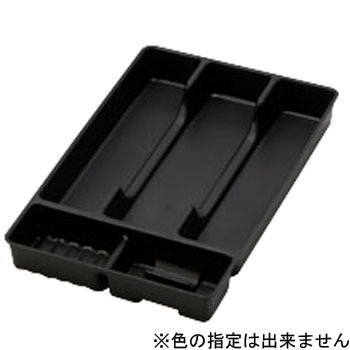 I use it in the drawer of the side arm of OA desk. The size of this is just right for organizing pens and clips. However, a slightly larger stationery such as scissors will come out. The texture is not too bad for the price. I bought 60 pieces and almost arrived in black and gray. The color was supposed to be unselectable, but it is still better if you can choose the color. It's OK if you are cheap.